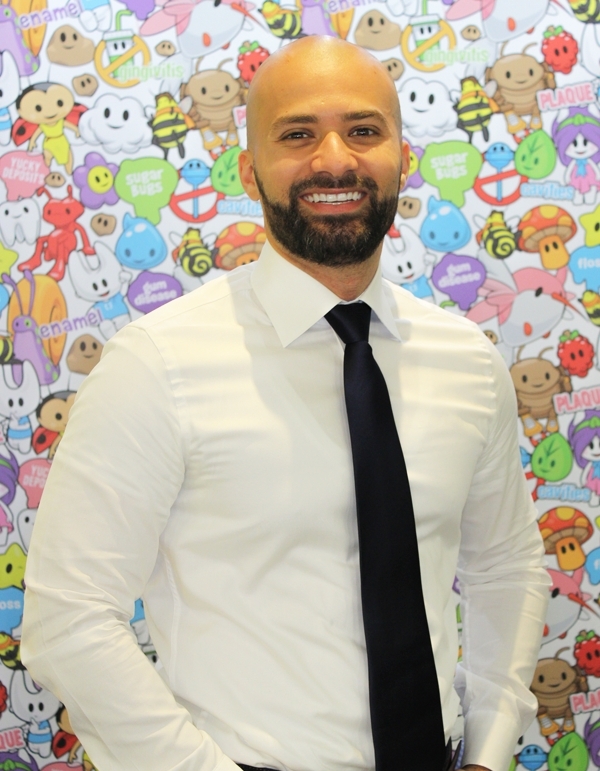 Dr. Khalid Mutawalli is a passionate and caring board certified pediatric dentist. He loves coming to work every day to provide a positive experience for patients, parents, and the team. Dr. Mutawalli emits positive energy and is eager to help all patients and families in the community! Originally from Egypt, Dr. Mutawalli received his dental degree from the historic Cairo University in Egypt. After graduating from dental school, Dr. Mutawalli moved to the United States and furthered his education at the elite University of Maryland School of Dentistry to pursue a 3 year residency in Advanced General Dentistry. While at the University of Maryland, he worked on several research projects that included pathogens related to the development and progression of dental caries in children. Dr. Mutawalli earned a Masters of Science Degree at the University of Maryland as a result of his research projects. His research was published in PLos Pathogens, a high impact scientific journal. Dr. Mutawalli’s passion in helping children maintain optimal oral health lead him to complete another 2 years specializing in Pediatric Dentistry at Nova Southeastern University and Joe Dimaggio Children’s Hospital. His leadership and motivation to learn lead him to become the Chief Resident during his pediatric dentistry residency. During his residency, he received extensive training in behavioral management techniques. His overall goal is to utilize behavior management techniques effectively and safely to deliver dental care to pre-cooperative and uncooperative children. Sedation and Hospital dentistry are two of the many skills he learned while at Nova Southeastern University. He trained with some of the nation’s top Pediatric Board Certified Anesthesiologists at Joe Dimaggio and Broward General Hospital to provide dental rehabilitation for pediatric patients under general anesthesia. Dr. Mutawalli trained at the Mailman Segal Center that specializes in children with special needs. He developed a strong passion in understanding children with sensory issues, ranging from children with mild hypersensitivities to children with severe autism. During his free time, Dr. Mutawalli loves playing sports including soccer, basketball, and tennis. He loves to travel and learn about different cultures. Coming from a large family, he enjoys cooking and spending time with his beloved family.